Sergiy Derevyanchenko capped a powerful performance with a 12th-round TKO of Tureano Johnson in a 160-pound title eliminator. Derevyanchenko vs Johnson Round by Round Fight Summary. Rounds are displayed numerically as columns. Each row will display one of the following: W for win, L for loss, KO for knockout, or TKO for technical knock out. An empty column means that data is not available. The stout Ukrainian slugger consistently landed the bigger punches against Johnson before gaining a 12th-round TKO in their 160-pound title eliminator in an outdoor ring set up on Main Street in Miami, Oklahoma. It was bombs away for much of the bout as the fighters traded heavy shots early and often. Derevyanchenko had the clear advantage when there was distance, and Johnson was forced to eat lots of leather to get inside. Although the action was back and forth over the first few rounds, Derevyanchenko began to accelerate his attack in Round 3. Johnson was staggered a couple of times early but always recovered, answering back quickly. Derevyanchenko used his jab and straight right to great effect, but was often lured into an inside fight. Johnson kept himself in the fight early with his nonstop punching. His output slowed down dramatically in the fifth round, no doubt due to the impressive body work from the 31-year-old Ukrainian. The 5-foot-9 Derevyanchenko landed a massive four-punch combination in the closing 30 seconds of the round, beginning his demolition of the taller Johnson. Derevyanchenko never got wild with his approach, living up to his nickname of “The Technician” as he measuredly looked for different angles from which to attack Johnson. He buckled the 33-year-old Bahamas native, who now lives in Atlanta, in the eighth with a thunderous combination, but Johnson showed amazing toughness as he stayed upright. As he fought past the eighth round for the first time in his career, Derevyanchenko took stern control of the action, but Johnson's pride kept him on his feet if not in the fight. Johnson endured another one-sided beating in Round 11, and referee Gary Ritter looked on closely for a reason to stop the action. It didn’t take long for Derevyanchenko to finish things in the 12th, as he landed two consecutive right-left combinations to put Johnson firmly on the canvas and cause Ritter to wave an end to the bout 40 seconds into the round. Derevyanchenko is now the No. 1 contender to face the winner of next month’s Gennady Golovkin-Canelo Alvarez world title bout. 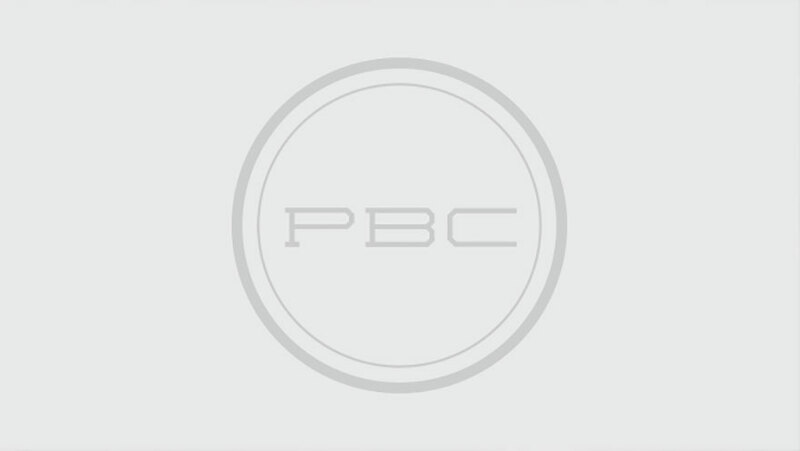 This week on PBC Jabs, host Jordan Hardy recaps our hard-hitting August 25th FS1 show and checks in with light heavyweight champ Adonis Stevenson to get his reaction to recently being called out by fellow 175-pound champion Badou Jack. Plus, stick around and test your boxing knowledge for a chance to win a PBC t-shirt. It’s fitting that Sergiy Derevyanchenko and Tureano Johnson have been paired together for their upcoming 160-pound title eliminator. Both middleweights have believed for years to be ready for a world title fight, yet are also the type to take whatever challenge is offered in a climate where most others would’ve shied away from being matched so tough without a major trophy at stake.